Types of melon – Melons included to the botanical family of cucurbitaceae. Melon fruits are widely adapted in some areas of the world and also grown in numerous countries. Melon plants are vine crop that grown in the tropical and sub tropical areas such as Asia, and African. 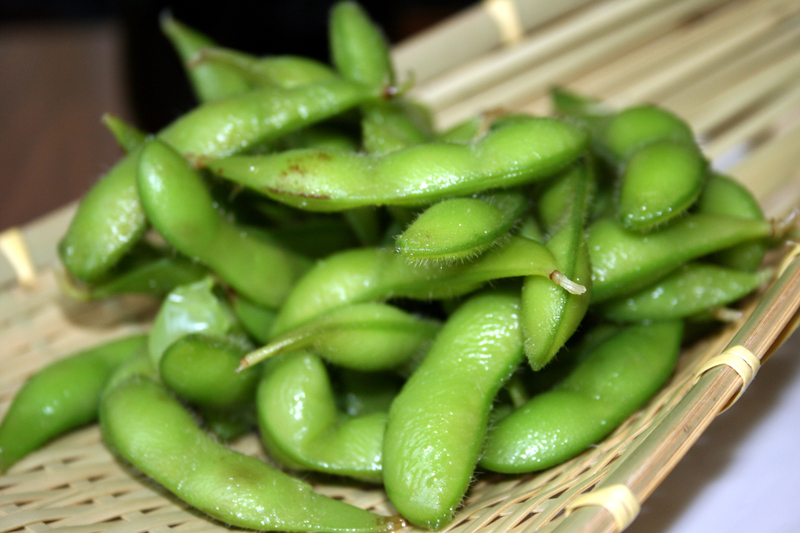 They have highly water content up to 90%, so that their texture are juicy and sweet in taste. Melon fruits are one of the most wanted fresh fruit while summer come for consumed as dessert, salad, and juice. These containing of nutritions are carbohydrate, protein, folate, niacin, vitamin B6, vitamin A, copper, iron, phosphorus, and manganese. These fruits have health benefits due to their nutritional contents. Such as Anti-Cancer Properties, heart health, cures kidney disease, digestive health, energy booster, weight loss, maintains healthy skin, promotes hair growth, and others. Melons divided to some types that different in shape, color, sweetness, size, and texture. Over all, the most favorite types are casaba, cantaloupe, honeydew and Persian melon. But Ten Me (Melon varieties) Melon has the most amazing price because those are only found in the small area in Japan. The following texts are the list of melon types that you might never know. This type of melon commonly called pare in Indonesia. Its shape looks like elongated with dark green in skin, and white fleshed. 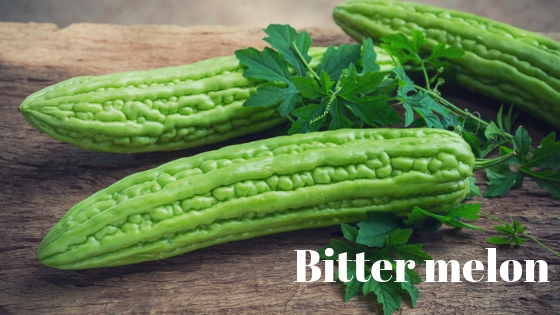 Bitter melon widely used to vegetable than fruit because its taste extremely bitter and should be cooked to get better taste, such as soup. 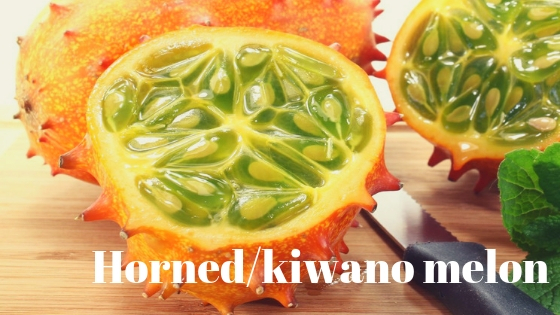 In fact, this fruit is utilized as medicines for some countries such as Chinese, Korean, and Japan. This fruit is fine grown in the tropical area such African and Asian. This fruit is the most favorite melon in the Europe, that usual consumed as salad and dessert. 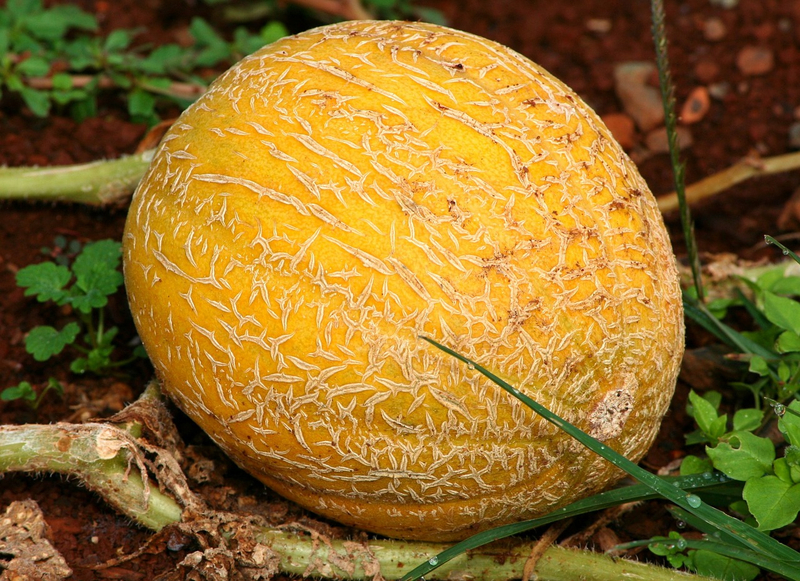 Cantaloupe has round shape and rugged yellow in its skin, but orange fleshed and sweet. It can grow up to 5 kg in weight. This melon being nutritious because consist of numerous betacarotene, antioxidant, vitamin, and also carbohydrate as energy. Watermelon is being origin from desert south African. Its taste sweet and juiciest because higher water content than other melon varieties. It has more than one flesh color such as yellow, white, red, orange, pink, and mixed yellow red. 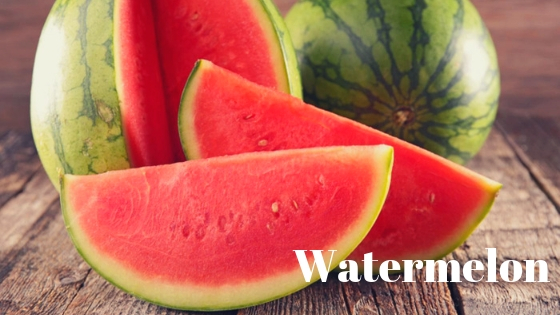 Color skin of water melon is green with white elongated strip. It widely grown in China, Turkey, Spain, USA, and Iran. Learn how to grow watermelon. 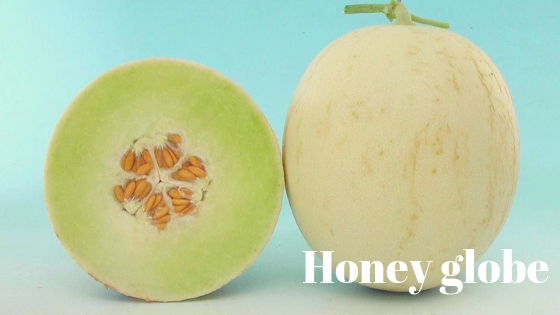 Honeydew widely produced in Arizona, Texas, and California. This melon shapes are around to oval and weigh up to 4 pounds. its rind is smooth, between greenish to yellow in color, and its flesh color is creamy green. 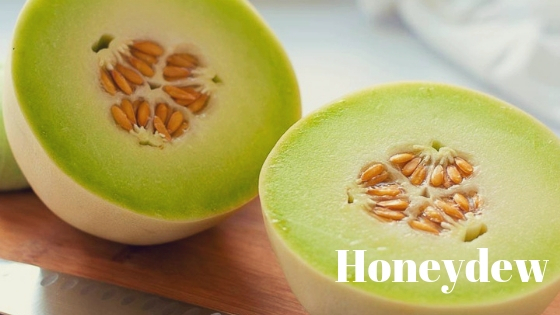 Honeydew is also known as green melon that taste is sweet and juicy which as favorite fruit eated as dessert or cutting fresh. This type of melon is commonly found in southeast Asia, mainly in Vietnam where it consumed at ceremonial or festival. Each GAC plant produces more than 30 fruit in every season. 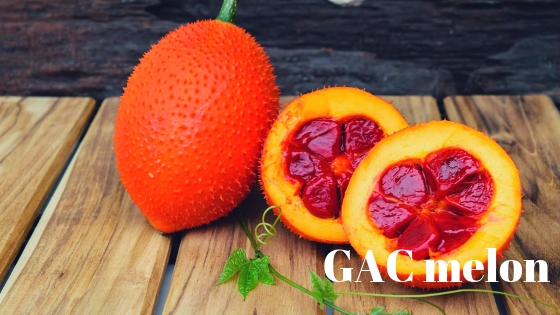 GAC is also called red melon because of its flesh color. The rind is light orange and has unique falvor. It is containing of highly betacarotene and vitamins that has human health benefit. Winter melon is also known as winter gourd, ash gourd, or white gourd. This melon variety is beginning found in southeast Asia, and now it is widely grown Eastern and Southern Asia. 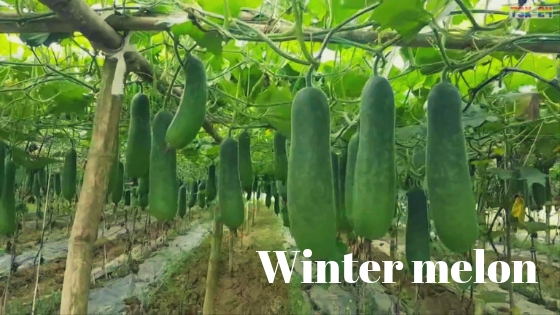 Winter melon has elongated shape with smooth and green in rind color and white flesh. Its length can be up to 30 inches. its sweetness between a pear and a honeydew fruit. Winter melon usually consumed as vegetable doing the winter. Sprite melon is similar to honeydew fruit, this crop is sourced from Japan. The taste of sprite melon is sweeter than other melon varieties. It has round shape, and the weight is range from 1 to 1.5 kg. this melon flesh color is white, while the rind color ranges from white to yellowish. 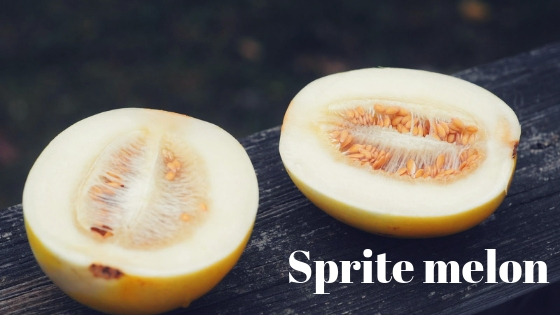 Sprite melon does not only contain flesh and peel, but also brown seeds. This melon fruit is so juicy and sweet that fit as an ingredient of salad or dessert. This melon fruit also known as oriental melon that can be easily found in east Asia. 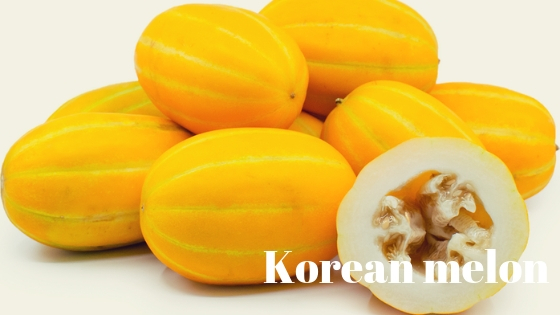 The Color rind of Korean melon is light yellow with white elongated strip. Its flavor is sweet, juicy and it is delicious when eaten as salad, or cutting fresh. The taste closed to between a honeydew fruit and a cucumber taste. The sweetness is lower than other western melon varieties. Its water content reached to 90%. This variety is usually found in some of Asian countries such as Japan, Morocco, and South Korea. This melon shape is round to oval and likely waxy smooth, bright yellow in its rind color. 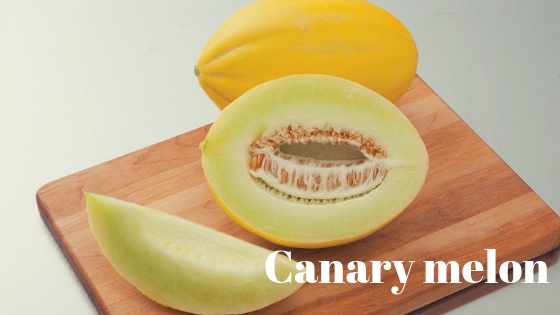 Canary melon flesh is white that mostly like the flesh of a pear even softer than, and its taste is sweet and juicy. This melon variety is mostly similar to cantaloupes in flesh color, but its size is the smallest of melon varieties. Its flavor smell is unique and pleasant. 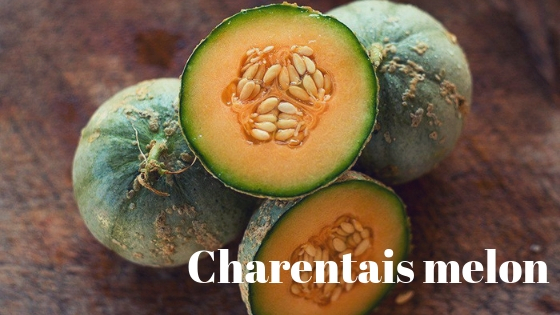 Charentais melon sourced from France, and widely grown in North Africa and United States, and they also being produced of big scale of this melon. This melon variety is popular and grown in China. 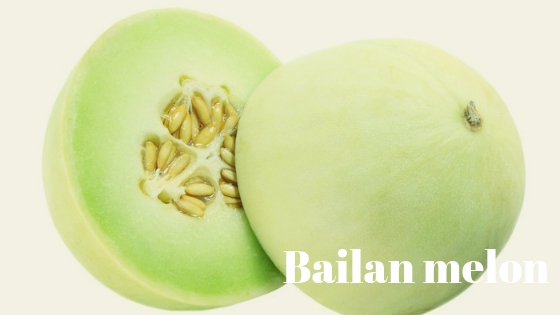 Bailan melon have shape and color mostly similar with honeydew fruit that has light green flesh color and white in skin color. the taste is sweet and juicy that rich of vitamin, protein and minerals. 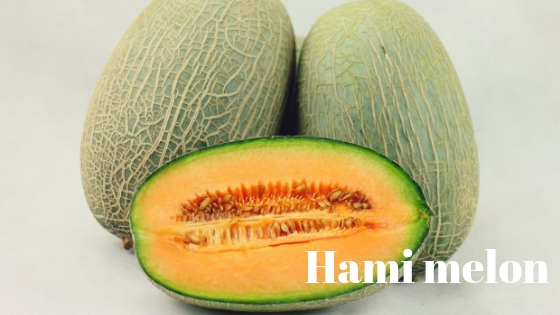 Hami melon is sourced in Xinjiang, Chinese. It is also known as the snow melon or Chinese Hami melon that its rind color is commonly white or yellow-green. 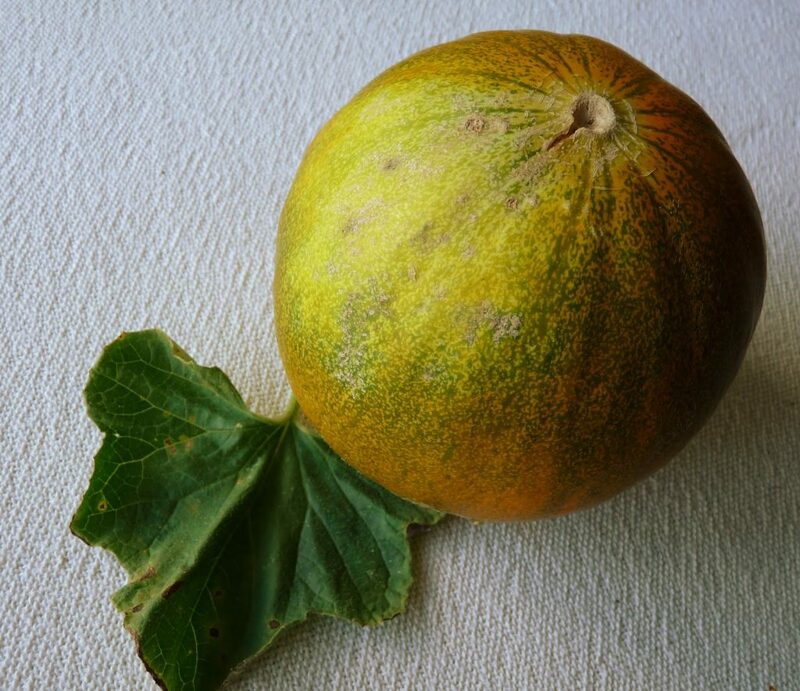 Hami melon has round shape and its flesh color is Orange. 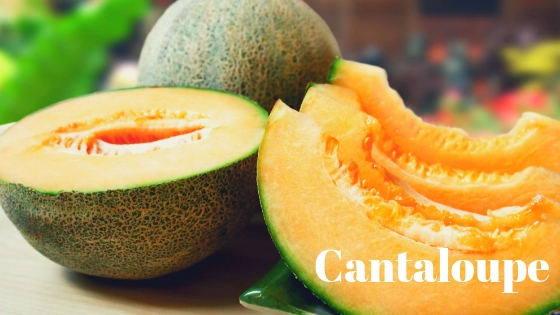 This type is mostly similar to cantaloupe melon, and even we would not find the disparity between them. This melon fruit is sweet and crunchy in taste, and it is usually eaten as salad or cutting fresh. This melon fruit also commonly called Christmas melon is originated from Spain. Santa claus melon has a round oval shape. Dark green and browns are dominate color in its thick rind, the color flesh is green to white. Its taste is sweet and creamy that mostly similar to cantaloupe, and its flavour nearly similar to honeydew fruit. 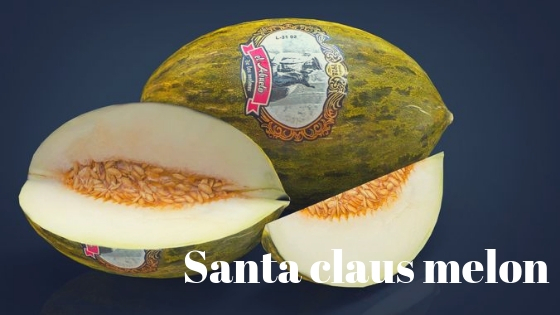 Santa claus melon is containing of potassium and low carbohydrate. 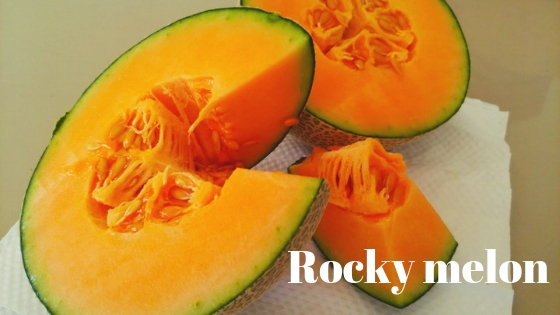 Rocky melons has yellow to orange in thick rind color, and its weight up to 4 pounds. Its color flesh is green and the taste of rocky melon is sweet and juicy and also has the flavor range between a cantaloupe and a honeydew. This fruit is always available while the summer to be consumed as dessert or salad. This type has round to ellipse shape, and the weight reached to 6 pounds. its texture is so crunchy and. Its rind is smooth and yellow in color. the color flesh is white, and containing of high sugar and high water content, so that the taste is sweeter, juicy, crunchy, delicious. 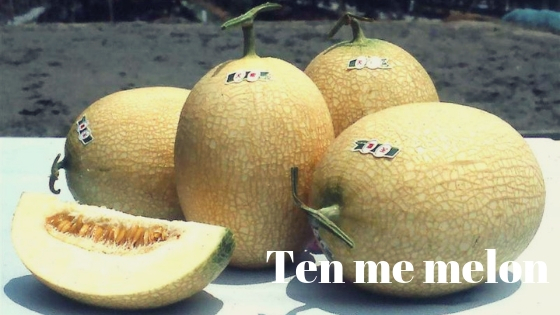 Golden Langkawi melon can be cultivated in poly bag or plastic pot if you have small garden. 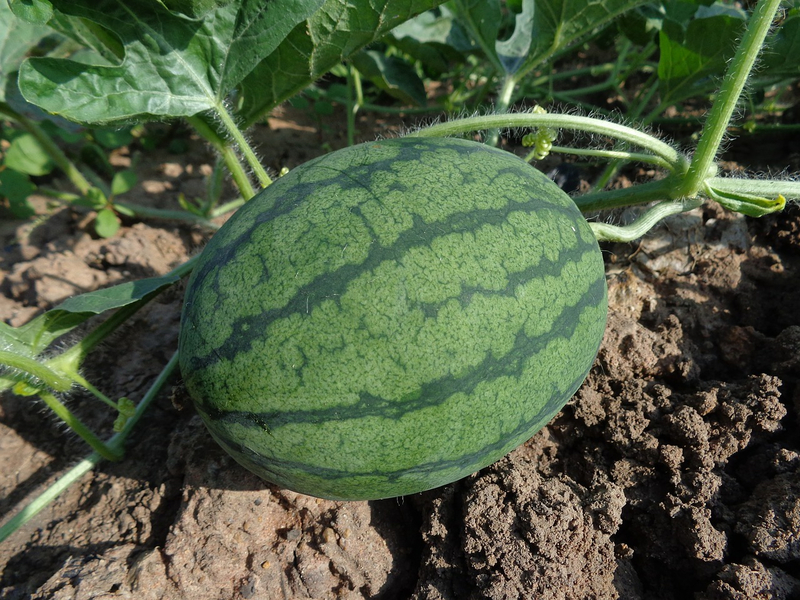 This melon also easy to plant and has shorter harvest time. Apollo melons has highly water content and also rich of minerals and vitamins that has human health benefits. its rind color is golden yellow with elips shape, and the flesh is white which taste is sweet, juicy that lately, this melon variety is widely grown in Indonesia. This fruit nearly similar to the Golden Langkawi melon but their skin completely different. 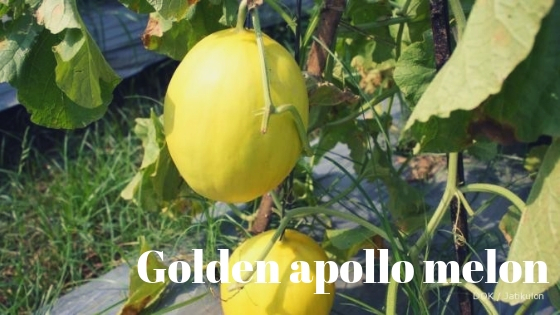 The apollo is favorite fruit which consumed as dessert, salad or cutting fresh. The Honey Globe included of superior melon variety that has round shape, the skin color is green in and its weigh can grow up to 9 pounds. Its flesh is so juicy, thick, and extremely sweet, because of containing sugar for about 19% of the weight. Honey globe plants is quickly to grow that doesn’t need more treatment. It is resistance from crops disease, and takes only short time to be harvested. 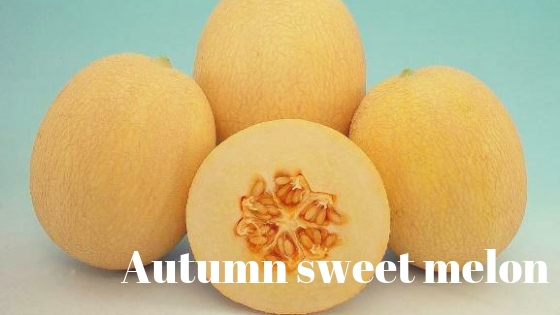 The Autumn Sweet melon has round shape and golden yellow in rind color. Its weighs can be up to 4 pounds. Consist of hing water content and carbohydrate, so its taste is very sweet and juicy in texture. It has a thick white flesh that is delicious and unique taste. 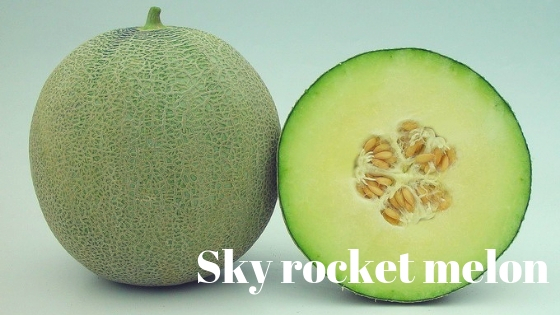 The Sky Rocket melon can grow up to around 6 pounds. Its shape is round melon with green and yellow skin color. The Sky Rocket melon is highly sweet, smoothy, juicy and wonderful fresh taste. 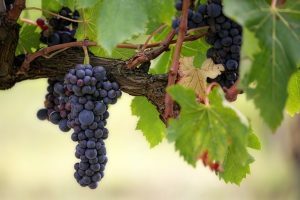 It grows easily dan quickly that takes only 65 days until harvested. Jade daw is round to circle shape and its rind has tinny web greenish white. Its weight can be up to 4 pounds, which has webbed and greenish color rind. Its flesh color is milky yellow that taste of this melon fruit is sweet, crunchy, and delicious. 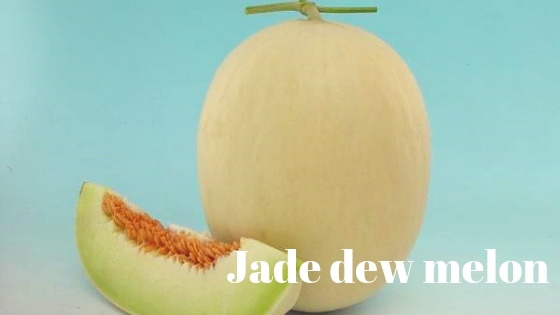 Jade daw is a variety of melon plant that easy to growth. It is resistant to crops disease and viruses. 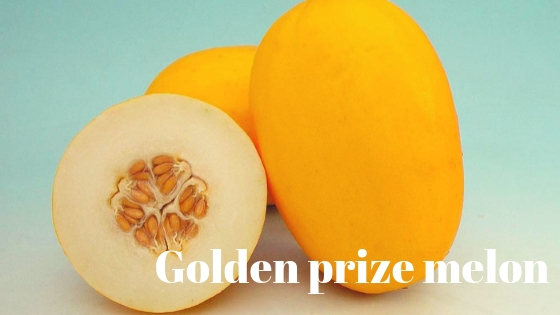 Golden prize is smooth, thick, and bright yellow in rind color and its shape is round to elips. Its flesh color is orange that is high water content. This types of melon fruit tastes delicious and extremely sweet, its texture is crunchy and juicy. Golden prize can be kept in the storage place for along period until it needs to be used. This melon is extremely expensive than other types of melon, has high quality and Its weigh can be up to 9 pounds. The rind of this melon is smooth with white and yellow color. ten me’s flesh is highly sweet, thick, juicy, and pleasant. Although it has high cost, ten me is always seen. This melon fruit has the shape around to elliptical and greenish to yellow in skin color. Its color flesh is light orange that very sweet, fresh and crunchy because it has lower water content. New century plant is an annual vine crop from Taiwan that resistance to crop disease and viruses. Its weight is range 1.8 to 4 kg. new century is very affluent product. 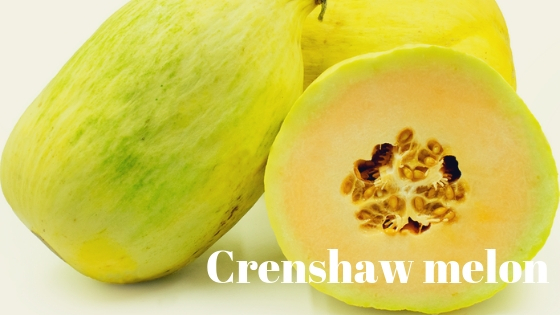 The Crenshaw melon is a hybrid type of melon which has a round to oval shape. Its rind is smooth and the color is yellow-green. The color flesh is yellow that is containing high water content, so that is very juicy but sweet. Its flavor is pleasant, unique, and delicious. The horned melon has unique rind with oval shape, which bright orange color. This melon fruit has taste mostly similar to mixed of cucumber and zucchini. The Horned melon’s flesh is lime green with seeds inside. This fruit is sweet, juicy and also has wonderful taste. Kolkhoznitsa melons were brought to North America in 1993 by a member of Seed Savers Exchange, who acquired seeds in Krim, in the Ukraine. They were released under the translated name Collective Farm Woman. 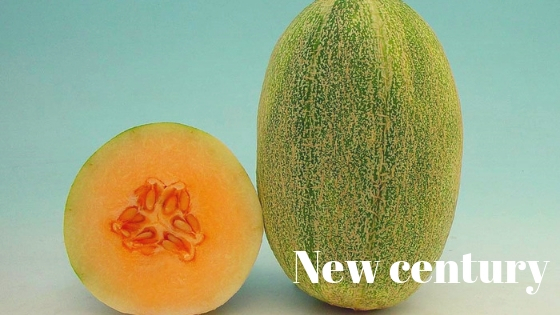 Since then, they have been gaining recognition and popularity as a very good early-ripening melon that’s happiest growing in a season that’s warm, but not wildly hot, and which is quite tolerant of cooler weather. Canadians, take note; this one’s for us.